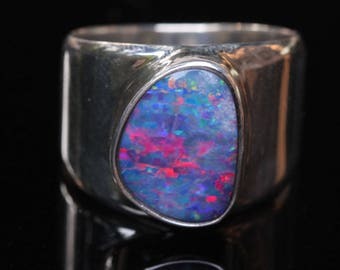 The ring is a USA size 5 with a width of 13 mm wide at the top graduating to 4 mm at the base. 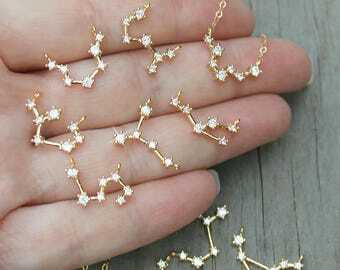 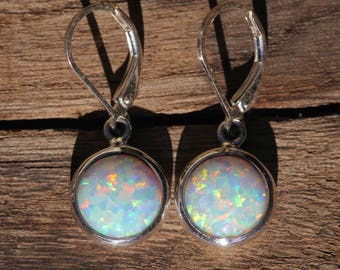 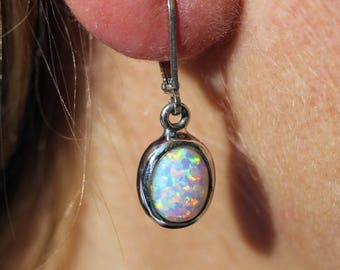 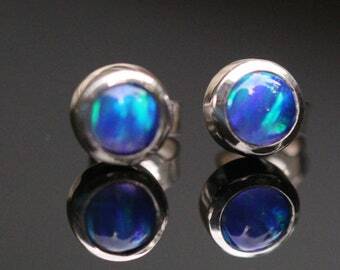 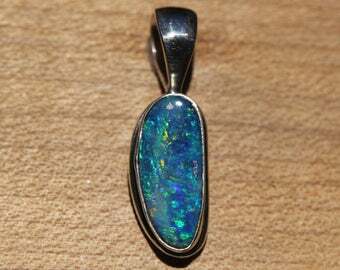 The opal alone is 11 mm x 8 mm. 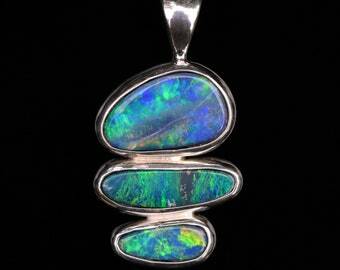 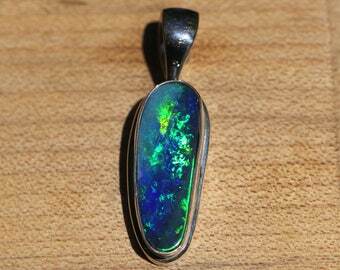 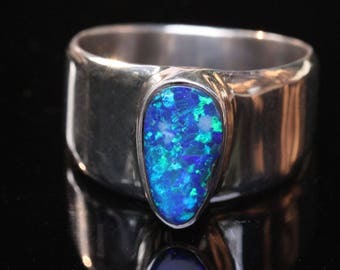 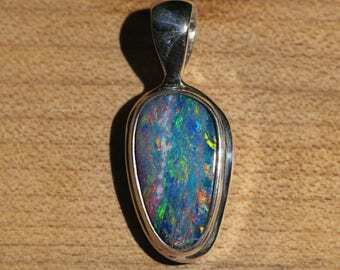 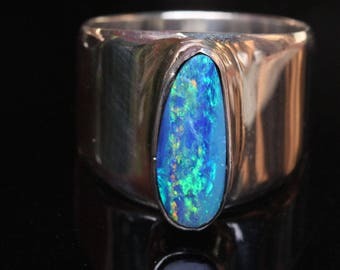 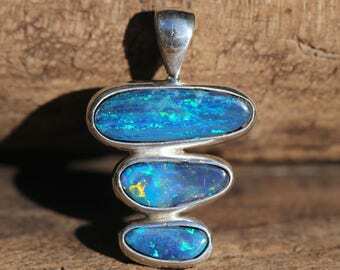 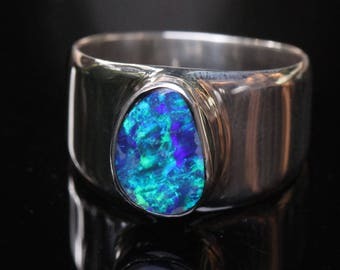 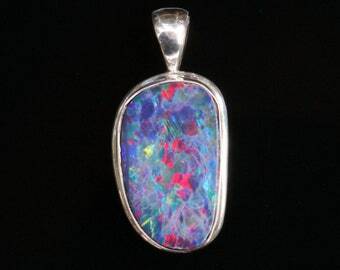 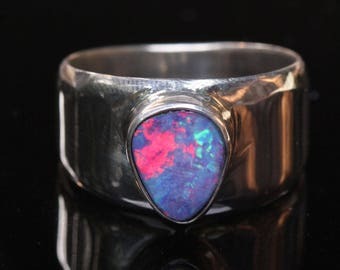 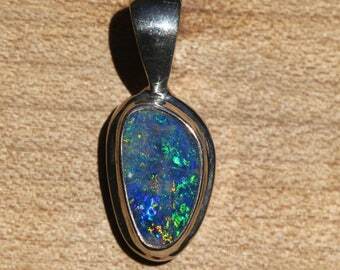 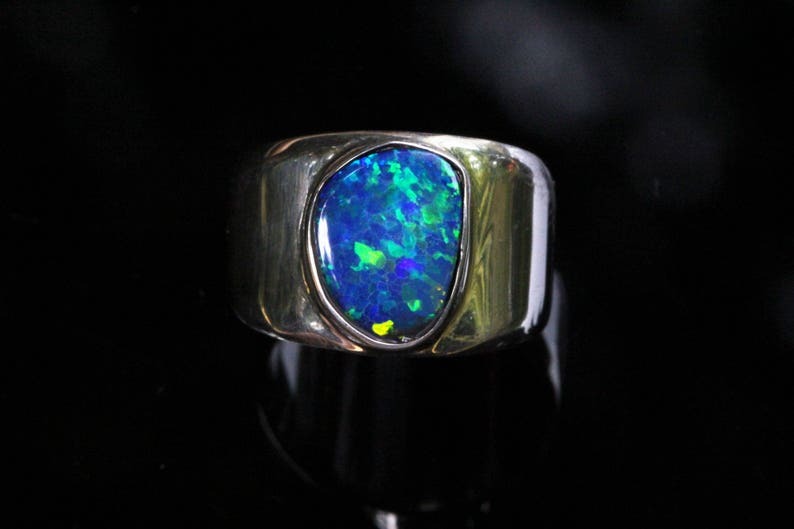 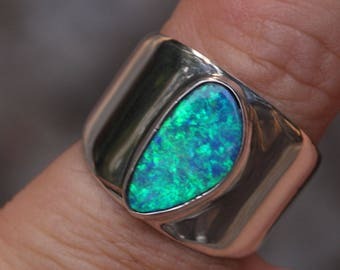 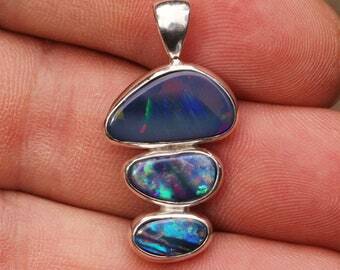 This opal has an strong natural fire of blue and green. 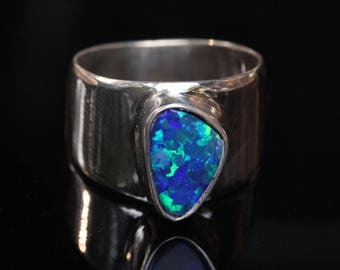 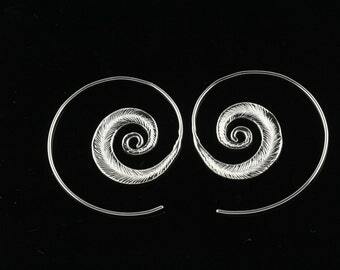 The ring is made from 1 mm thick silver which gives it strength and a good weighted feel while maintaining a low profile.